Every marketing professional has a list of dream clients. Especially when it comes to high-ticket or enterprise offerings. That’s why the promise of Account-Based Marketing (ABM) has become attractive to many B2B marketers. Often reserved for larger companies, ABM is having its moment in the mainstream spotlight. It’s a simple concept, but by no means easy. You have a list of 50 to 100 target companies that you wish to become clients. You can then align with sales to plan an approach into your target organisations in an effective way. According to a State of Account-Based Marketing survey; 92% of marketers see the value in ABM. 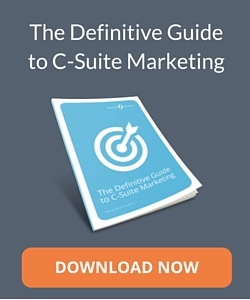 They consider it as a “must have” in their B2B marketing strategy. 60% also plan to invest in technology that aligns sales and marketing for their ABM efforts. However, 47% of the respondents felt their teams don’t have the necessary skills to execute a successful ABM strategy. There’s a huge gap here. In this article, I outline 5 elements to consider when creating an Account-Based Marketing strategy. 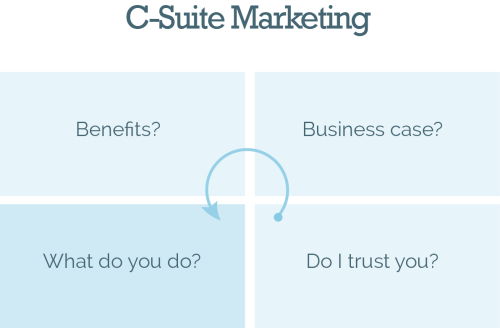 These are key components we include when marketing to C-Suite executives and other senior decision makers. It allows us to cut through the noise and position us away from other vendors. Remember, the people you’re hoping to target through your ABM efforts only spend 2% of their working week with other vendors. So you better have a strategy that positions you away from the average seller. One mistake that many sales and marketing teams trip up on is fragmenting the relationship building process. Imagine you’re a busy executive trying to solve key challenges for your organisation. When overcoming these pains, it takes time to build relationships based on trust with other experts and vendors. Now imagine what it’s like when you’re being passed from one point of contact to another. To them, it comes across as inauthentic. It doesn’t allow them to build a real relationship with an organisation and the people (or person) in it. By the time your target executive has got to know someone within your organisation, they’re being “handed over” to someone else. The level of trust achieved has to be built-up all over again. This causes sales cycles to extend far longer than they need to be, or worse – it kills the deal altogether. One person takes care of everything, from email, social media, telephone and face-to-face engagement. Trust is built on a one-to-one level throughout the entire process. Notice how teams across the organisations are still working together. 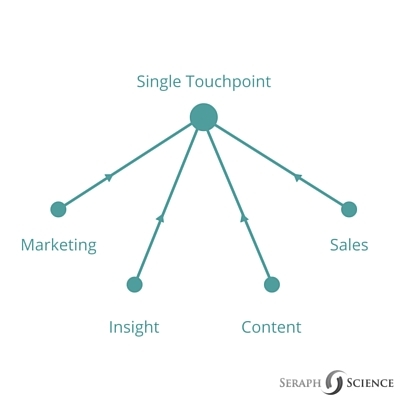 This maintains the non-siloed approach ABM is known for, allowing teams to support one salesperson or marketing exec. This can be with insight, content or intelligence needed to succeed. This can dramatically reduce the amount of time it takes to get a foot in the boardroom, but this one factor alone is not enough. You need to take a reversed approach to selling to get there. We’ve talked about this before, and when it comes to Account-Based Marketing it still rings true. Most people lead their engagement with what they do – in other words, the “thing” they’re trying to sell. They then progress on to the benefits that what they’re selling can yield based on case studies and persona pain points. From here, they try to make the business case by linking those benefits to organisational challenges. Only after they’ve laid all this down do they attempt to build trust. This approach, when applied to the context of Account-Based Marketing, can seem forced and contrived. Especially when selling an enterprise solution. The benefits of other clients do not always translate to the pains that your target accounts are trying to overcome. The key? Sell in reverse. The relationship should always start with trust. Senior executives don’t care about what you do, nor the benefits it can bring. They think strategically and want the value you can bring at a boardroom level. Build trust first by delivering VALUE up front (we’ll get into the type of value you should be offering in a moment). As you know, trying to attribute solution features/benefits to your target accounts won’t work. This is because each organisation has their own challenges. The same is true for where and how you find them. It’s easy (and comfortable) to refer to traditional buyer personas when targeting target executives. But this approach requires a shift from a persona-focused mindset. With ABM, you’re targeting individual companies. So you need to be treating them differently – both in your messaging and where you engage with them. For instance, you may have identified 3 to 5 executives within each organisation who you’d like to engage with. Most of them will be contactable by email, but you should also engage with them elsewhere. As you can see, if you want to get the attention of each executive, you need to engage with them through the channels they use daily. So, a cookie-cutter approach to this kind of engagement won’t work. You need to target them where they go to the most. This means commenting on the articles they create and sharing content with them on Twitter. You can also contribute to the discussions of the communities they’re part of. For your ABM efforts to succeed, go beyond the tried-and-true buyer personas. For Inbound Marketing efforts these work great. But, your Account-Based Marketing is going to need a completely new level of depth. When engaging at a boardroom level, you need to build trust before you can even begin thinking about doing business. This we’ve already discussed, but how do you actually execute upon this? One way is to deliver value in the form of insight, stats and facts. Thought-leadership and opinions won’t resonate. Instead, you need to provide a compelling argument backed up by what the market is already talking about. There are two elements to value that senior decision makers will pay attention to. The first is credibility. If your message isn’t credible, nobody will listen to it. Credibility can come in the form of third party endorsements, statistics and stories from the clients you work with (as long as they relate to who you’re engaging with). You also need to provide value that delivers insight. They operate at a strategic level, meaning you need to provide a logical argument for change. The best way to do this is by independently researching a topic area. Find a topic based on what the market is talking about, followed by a unique angle around your value proposition. Developing a story based on credible sources of insight allows you to build a compelling need. This then leads to the next logical step of engagement. I mentioned that senior audiences only spend 2% of their time each week with vendors. This comes from an HBR study and roughly equates to 2 hours a week. The challenge that your Account-Based Marketing efforts must position you away from vendor-status. Instead, you must become a trusted authority that provides value. One of the most effective ways we’ve found to do this is by creating an independent brand. One that captures everything we’ve talked about here today. You can do this in many ways. 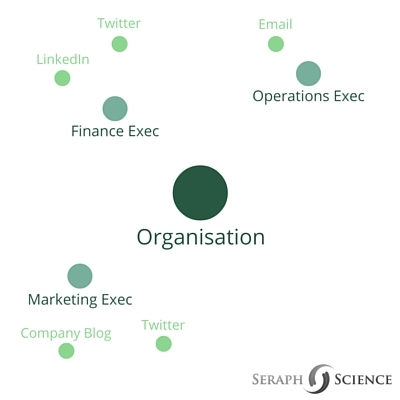 Some create LinkedIn groups or independent bodies that provide research for their audience. Another way is to build an independent club that brings decision makers together to discuss a particular challenge. You can use the framework in step 4 to ensure what you’re delivering is truly valuable. The other big benefit is the face-to-face element. You can only build a limited amount of trust through web channels. Bringing them together allows them to debate, share ideas and have their assumptions challenged. It’s lonely at the top, so a forum that brings them together is invaluable in itself. It also puts you at the centre of it. This means you position yourself away from vendor-status and into a trusted authority. Whatever you decide to do, make sure that you use a platform that represents you appropriately. Account-Based Marketing is becoming more popular among marketers. Building relationships and increasing pipeline velocity is a challenge many of us face. In this article, I’ve given you 5 elements that we’ve used for organisations like NetSuite, Thomson Reuters & SAS with great success. The overarching theme is clear: generate attention and build trust first. And do it in a way that delivers strategic value to your target accounts and the individuals within them. Do this and you’ll see ROI from these efforts faster.